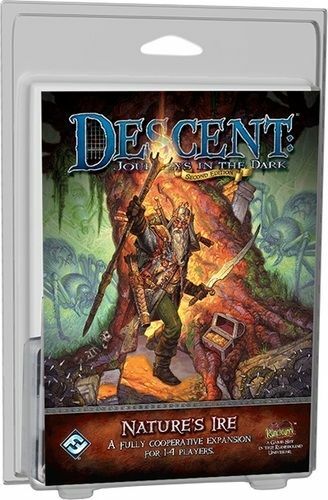 This expansion marks the second fully cooperative adventure for Descent Second Edition. In traditional games of Descent, one player is the overlord, controlling deadly monsters and springing traps, while up to four players battle these monsters, gathering items and experience as they move through the campaign. Cooperative adventures like Nature’s Ire change this gameplay entirely by allowing up to four players to work together to defeat monsters and traps controlled by the game. Each cooperative adventure simulates a mini campaign in one session, inviting you to explore an expanding area, testing your wits, battling monsters, and grabbing loot and experience along the way! 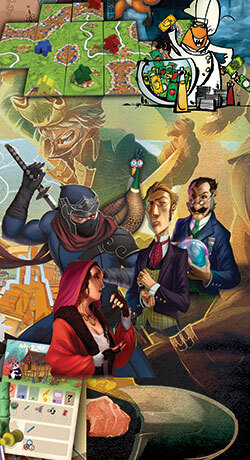 Note: The rules for the Nature’s Ire expansion are not included in the box. 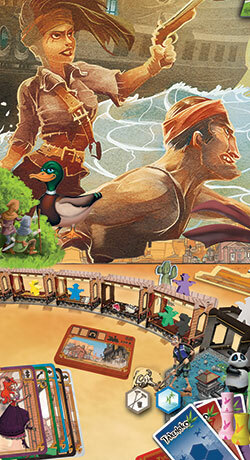 The rules are available for free download from the Fantasy Flight Descent: Journeys in the Dark Second Edition support page.